During the remaining years of Gonzalo García de Santa María’s term as bishop, which began in 1424 and concluded in 1445, the local knight and church families used a combination of personal wealth, church authority, and church statutes to block Count Pedro de Estúñiga’s attempt to solidify control over the region and its inhabitants at the opening of the 1440s. Three months after he assumed his title (in 1441), the Carvajal and Santa María families used their countervailing power in the cathedral to manipulate real estate transactions and to prevent the Estúñigas from consolidating control of key properties in the city’s Jewish quarter. Previous to the count’s arrival, the Carvajal and Santa María families used their control over the Cathedral of Plasencia to oversee Plasencia’s Jewish population. Now, to protect themselves and some Jewish families from the Estúñigas, the allied clans transferred ownership of strategically located Jewish real estate to the Carvajal family. In a transaction conducted on March of 1442, Archdeacon Rodrigo de Carvajal facilitated Caballero (Knight) Diego González de Carvajal’s purchase of multiple Jewish homes and properties owned by Juan de Bergara, Dana de Cerjo, Alenatar de Cerjo, and Abraham Almale. These collections of homes were all located in the Jewish quarter of the city, precisely where the Estúñigas had begun to establish a presence in the 1420s. Although Diego González purchased these houses, he also elected to lease the same properties back to the Jewish families. Perhaps the most questionable aspect of the property transaction was that Archdeacon Rodrigo noted that the actual sale of the properties purportedly occurred in 1430 and 1436, although the parties did not record the agreement until 1442, after Estúñiga’s assumption of the city. Photo 1: Palace of the Mirabeles (Palacio de los Mirabeles) (The residence of the Counts of Plasencia). Drawing 1: Virtual Plasencia’s reproduction of the Palace of the Mirabeles (Palacio de los Mirabeles). Original artistry by David Seidman. This event is striking in terms of how it addressed both the multilayered goals of the confederated families, as well as the potential needs of the Jewish families. The credibility of the agreement appears dubious, especially in terms of the recorded sales dates. It suggests that the parties shared a common interest—perhaps collectively agreeing to lie about the dates of the property sales—in order to prevent the Jewish families and homes from falling under the complete control of the Estúñigas (who were the Counts of Plasencia, and ultimately local secular authority, after 1441). By executing the contract under the aegis of the cathedral of Plasencia, the Carvajal and Santa María families re-established a competing jurisdictional oversight over some Jewish residents that partially blocked the Estúñigas’ expansion in the Jewish quarter. 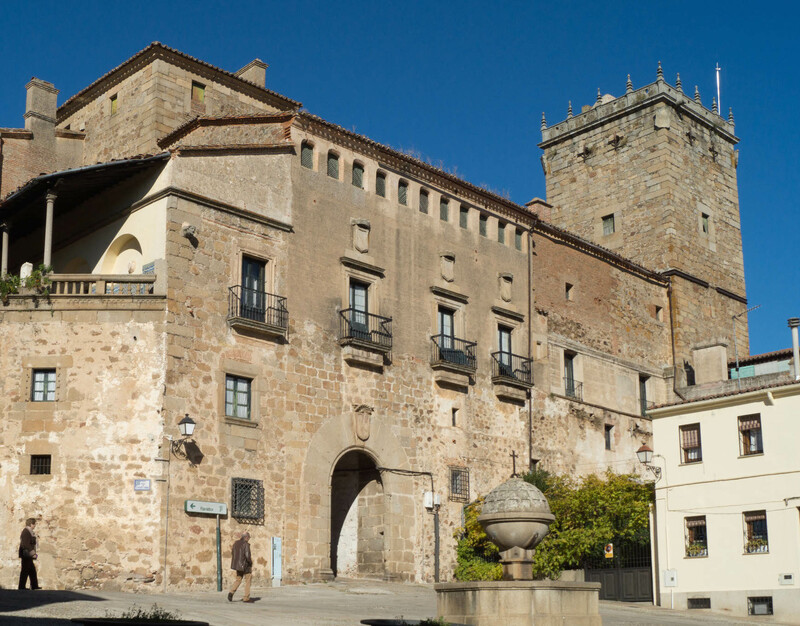 If the Estúñigas challenged or attempted to nullify the agreement, which was likely as they were consolidating personal property in Plasencia’s Jewish quarter, then the cathedral chapter could threaten them with financial and religious penalties, including excommunication. Existing local church precedent, first established in 1396 and later reinforced in 1410, had clarified the supremacy of the cathedral of Plasencia over local lords and caballeros (knights) in affairs relating to ecclesiastical transactions and taxation. In fact, before the Carvajal-Santa María confederation had garnered control of the cathedral chapter, the church temporarily excommunicated Caballero (Knight) Diego García de Béjarano (a Carvajal family member) for failure to pay taxes (diezmos) to the church for earnings produced from his lands. Thus, it appears likely that any party that challenged an ecclesiastically administered transaction, such as Diego González’s purchase of the Jewish homes in the juderia (Jewish quarter), would have been subject to similar church penalties. Furthermore, the Jewish residents that rented homes directly from the cathedral—such as the Arrañons, Dazas, Arusos, Capas, and Caces—arguably benefited from church protections as well. Since the count’s jurisdiction was purely secular, this cathedral chapter action resided outside of his authority. Not only the cathedral chapter, but Diego González (the buyer) as well as the Jewish sellers realized tangible benefits from the property contracts. For Diego, a city councilman and the first cousin of the archdeacon, the transactions accomplished three goals: (1) they enhanced his family’s property holdings that were later incorporated into the entailed lands (mayorazgo) of his son, (2) they created a physical Carvajal presence next to the Estúñiga’s housing compound, and (3) they provided Diego with the church’s jurisdictional protection. For the Jewish parties, the property sales were more problematic although perhaps indicative of their differing perceptions of the Estúñiga and Carvajal families. It is likely that one of the two clans, either the Estúñigas or the Carvajals, pressured the Jewish residents to sell their homes in La Mota (a walled zone within the Jewish quarter). If the Cerjos and Almales had not done so, then these families very likely faced eviction by the Estúñigas given that the Condes de Plasencia had chosen to amass and consolidate a number of properties in the area in order to create a substantial housing complex. 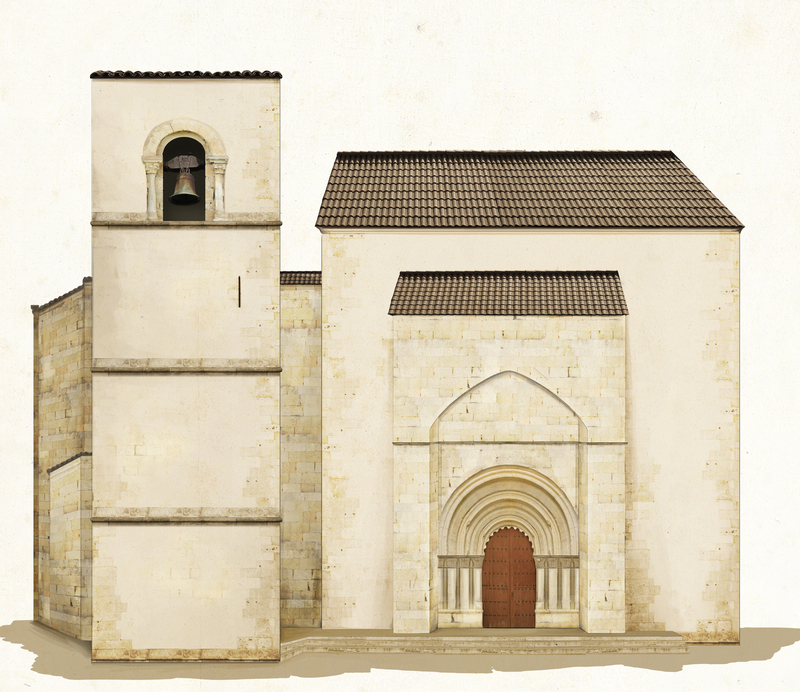 Archivo de la Catedral de Plasencia (ACP) Legajo 7, Documento 22; ACP Legajo 3, Documento 20; Archivo Historio Nacional – Seccion Nobleza (AHNSN) Osuna, Caja 298, Documentos 3/13 and 3/14. ACP Legajo 282, Documento “Real Provisión de D. Enrique Espana que los Sres. de los lugares no impidan el arrendamiento de los diezmos obtenida a instancia del Sr. Obispo D. Pedro…” unfoliated ; ACP Extractos del inventario de los papeles del archivo, Tomo 3, Documento 338; ACP Legajo 45, Documento 13. At this time, Estúñiga planned a three-fold increase of the religious poll tax on the Jewish aljama. ACP Actas Capitulares Tomo 1 (1399-1453) Traslado, Folios 52v-53, 112-113, 200-202v, 223v-225v, 319-326v, 326v-328, 340-345, 361-363v, 378v-380v. For records on the Carvajals’ mayorazgos in Plasencia, see ACP Legajo 1, Documento 29; ACP Legajo 3, Documento 11; ACP Legajo 3, Documento 22; ACP Legajo 14, Documento 42. AGS EMR, Legajo 1; AHNSN Osuna, Caja 215, Documento 10(2), Folio 58v; Hervás, Historia de los judios de Plasencia y su tierra. Vol. II: 158-159, 181-182; Santos Canalejo,El siglo XV en Plasencia y su tierra, 111; M.A. Ladero, “Las Juderias de Castilla segun algunos ‘servicos’ fiscales.” Sefarad, Volume 31 (2) 1971: 254.